Along with the best mailroom machines available, we also supply all the consumables you need to keep running. 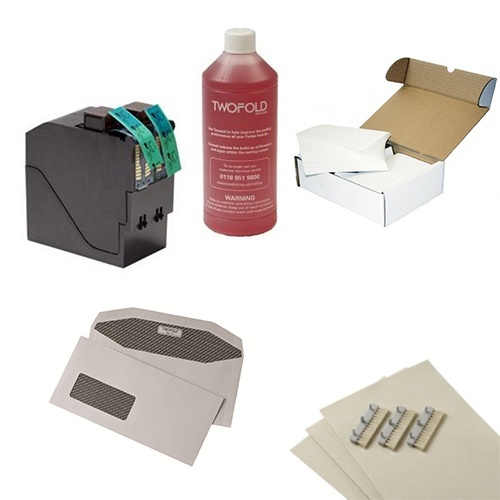 From cleaning kits for your folder inserter and inks for your franking machine, to envelopes and sealing fluid - you'll find it all at Twofold. If you want the best prices and quick delivery, just send us a message and we'll get back to you.